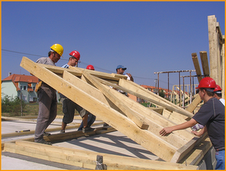 St. Columba's College Habitat for Humanity Project Hungary: What is Habitat for Humanity? Habitat for Humanity is a non-denominational Christian Charity, which helps build houses for people who simply can't afford them. Habitat works in partnership with families to build their own homes and other homes in their community. It is completely non-profit, with all funds used to build houses and create the structures in other countries to do the same. Habitat for Humanity have built over 200,000 homes in more than 100 countries, including Ireland. Once built, Habitat supplies the family with an easy to pay loan. The family will help build their own house but also build other homes in their community. Currently in Hungary 1,000,000 homes are overcrowded (1/4 of all homes), over 500,000 have no pumped water supply and over 900,000 do not have a flush toilet. 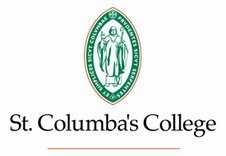 St. Columba's College are delighted to be involved in this fantastic charity and we hope this will be the first of many such adventures. Thanks for your good wishes fellow blogger!! !